Turn on Del Webb Blvd from Rancho Vistoso Blvd, left on Mello Trail, right on Trade Winds Way. Property will be on the left. Hello, I’m interested in 14215 N Trade Winds Way and would like to take a look around. The details on 14215 N Trade Winds Way: This house located in Tortolita, Oro Valley, AZ 85755 is currently for sale for $299,900. 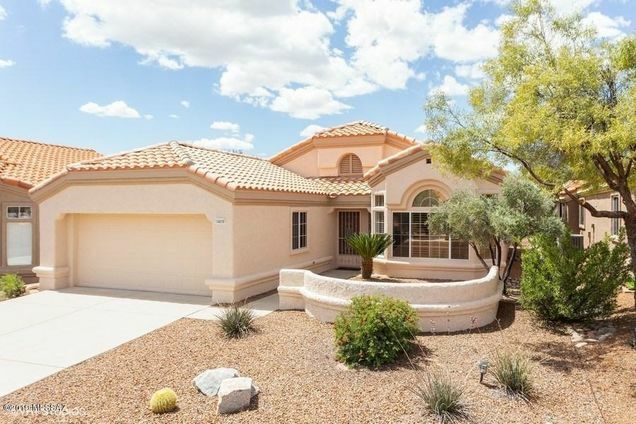 14215 N Trade Winds Way is a 1,499 square foot house with 2 beds and 2 baths. 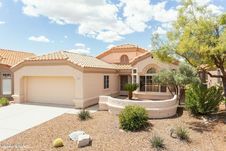 14215 N Trade Winds Way is in the Tortolita neighborhood of Oro Valley and has a WalkScore® of 7, making it car-dependent. This house is in the attendance area of Painted Sky Elementary School and Ironwood Ridge High School. Listing Courtesy of: MLSSAZ and Homesmart Advantage Group.